Hope someone can give me a name, my owner does not know what to call me. I started to grow and she loves me, but does not know my name. please help. 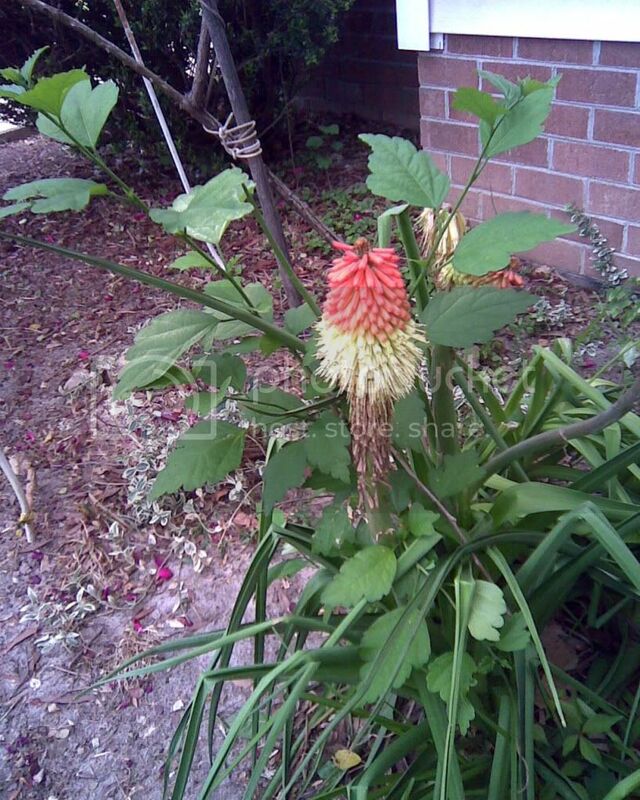 That is known as 'Red Hot Poker', 'Torch Lily', and other common names. I don't know the exact variety, but the genus is Knipfophia. thank you, Glad some knew I had no clue.. This is kind of strange because I was just coming onto the site to tell you that I counted the "pokers" on my plant today and there were 27. They lok to be some sort of red hot poker.sorry thats all I know. I have some tomato plants I have started from seed and now they are too wet and I have repotted them. I gave them some asprin, for root growth and I wonder if they are going to die. They were in hot wet pots in the sun.